Russia’s intervention in the Syrian civil war allows – or perhaps even requires – Israel to reevaluate its objectives and rules of the game vis-à-vis other actors in the region, beginning with Iran and the Assad regime. Though faced with Tehran’s ambition for regional hegemony and an Iranian military presence on the border with Syria and Lebanon, Israel has so far avoided any move that might help topple Assad and thereby also uproot Iran’s hold over Syria and deny Hizbollah strategic depth in the country. Despite the high level of complexity created by Russia’s involvement in Syria – or perhaps, rather, because of it – Israel must engage in active efforts to topple Assad and hand Iran a strategic defeat in Syria, while cooperating with regional and international actors that share Israel’s interests. Russia’s involvement in the Syria arena is a turning point amidst the complex dynamics of the Middle East in general and Syria in particular. This turning point does not necessarily focus on the fight against the Islamic State – Moscow’s ostensible reason for its current intervention in the crisis – but on the potential ramifications of the Russian move for the region and Israel. The most severe challenges Israel faces in the Syrian arena stem from Hizbollah and Iran, while the challenges represented by Assad’s regime and ISIS are less urgent. Still, the Assad regime must be seen beyond the direct threat it poses to Israel. Assad is what enables the growing presence of Iran and Hizbollah in Syria, and toppling him is a key to weakening the radical axis in the nation. The rationale of the Russian move, its strategic objective, scope, and duration are not yet sufficiently clear, but it is obvious that the move places Israel in a new reality that requires reconsideration of the ways to confront the challenge and the opportunities brought on by the new reality. Islamabad is treating areas of Kashmir illegally occupied by them as a colony. Pakistan has not developed infrastructure in the area with an ulterior motive and the residents continue to lead their lives without the basic privileges the modern world of today can afford. There are no highways, no good roads, less educational institutions and age-old medical facilities. These massive protests were not sporadic, but they were the result of colossal repression by security forces. The areas of Kashmir illegitimately taken from India consist of POK, Gilgit-Baltistan and territories given to China. Domestic or international press is not free to cover Pakistan Occupied areas of Kashmir, hence world does not so much know about the pitiable and underdeveloped condition of the masses. 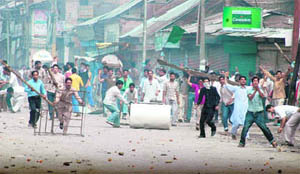 But sometime back the residents of POK revolted against Islamabad. Venkatesh Gangavaram, a father of three, was desperate. The state of Andhra Pradesh was going through a severe drought and after unsuccessfully digging up three wells (each cost him 20,000 rupees, or $307) in search of water, he owned up to 500,000 rupees to the loan sharks. Under tremendous pressure, he went to his field and drank pesticide. Luckily, he had a change of heart and returned to his house to find aid. The hospital saved his life, but left him with another bill of 300,000 rupees. He is now receiving counseling and assistance from Vicente Ferrer Foundation. 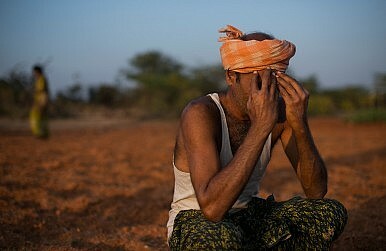 More than 300,000 Indian farmers have killed themselves since agriculture was liberalized. KABUL, Afghanistan — The Afghan government has tapped a notorious former warlord to lead a mission to retake a remote northwestern district captured by the Taliban over the weekend, officials said Tuesday. First Vice President Abdul Rashid Dostum has no formal position in the military, but has a “bodyguard” of 640 men. He and other former warlords are assuming a larger role in the battle against the Taliban as troops have struggled to take on the insurgents without the aid of U.S. and NATO combat troops. Dostum’s spokesman, Sultan Faizy, said he would assess the situation in Ghormach district, in the Faryab province, and submit recommendations to President Ashraf Ghani and the National Security Council. He will then implement their decision, only leading men into battle with their permission, the spokesman said. Dostum, a prominent mujahedeen commander who fought the Soviets in the 1980s and took part in the civil war that erupted after their withdrawal, is expected to lead a combined force of army, police and his own militiamen. Government reinforcements are already being dispatched to Faryab. WASHINGTON (AP) — The Treasury Department on Tuesday sanctioned a member of the Taliban leadership council for allegedly working to raise millions to bankroll the group’s military operations in Afghanistan. Treasury placed senior Taliban leader Torek Agha on a terrorist list, which freezes any property he has within U.S. jurisdiction and bans Americans from doing transactions with him. Agha has been a key player in “spearheading brutal military attacks and raising millions of dollars to support the Taliban’s ruthless acts of terrorism,” said Adam Szubin, acting under secretary for terrorism and financial intelligence. As of late 2014, Agha served on the Taliban’s Quetta Shura, a regional leadership council that directs Taliban activities, and was a key commander and member of the Taliban’s military council. In that role, Treasury alleged that Agha was one of four senior Taliban commanders who, as of early 2012, authorized using a chemical powder to assassinate senior government officials. On Monday, a top Pakistani official confirmed what had long been suspected by the arms control community: Pakistan will use low-yield nuclear weapons in responding to hypothetical Indian incursions into its territory. According to Pakistani Foreign Secretary Aizaz Chaudhary, Pakistan is formalizing it’s plans to use these low-yield nuclear bombs to forestall the advance of Indian troops under New Delhi’s “Cold Start” doctrine. Chaudhary’s statement marks the first time Pakistani officials have acknowledged their intent to use low-yield, or so-called “tactical,” nuclear weapons in a potential future conflict with India. India does not currently operate or plan to develop tactical nuclear weapons. On 28 September, 2015, the Taliban launched a major offensive in northern Afghanistan, capturing the city of Kunduz. The fact that some hundred Taliban fighters took over a major urban centre, an area which was held by 7,000 regular Afghan troops, in less than 24 hours, is not only a military debacle for the Afghan National Security Forces (ANSF) and an embarrassment for the provincial authorities, it also marks the greatest success for the Taliban at an open battlefield and an extraordinary ‘propaganda coup’. The accidental circumstance that the temporary fall of Kunduz coincided with the first anniversary of the inauguration of Presidency Mohammad Ashraf Ghani and the creation of a joint government with Chief Executive Officer Abdullah Abdullah underpins the political paramountcy and dramatic exposure of the security dimension of this event. Subsequently, the Afghan Army supported by NATO special forces comprised of US, British, and German troops, spent tremendous effort to regain control over Afghanistan’s sixth largest city with its 300,000 inhabitants. As one of the provincial capitals in the country’s north, Kunduz is of major geostrategic importance. 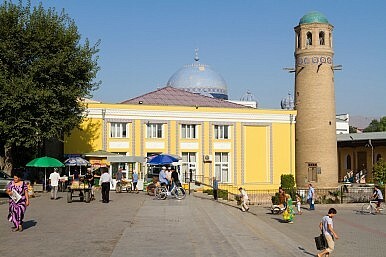 The city is linked by highways to Kabul in the south, with Mazar-e-Sharif in the west and Tajikistan in the north, Afghanistan’s most significant gateway to Central Asia. Controlling Kunduz means controlling not only formal trade but also the most lucrative informal one: the smuggling of drugs. But even if the Taliban are not able to hold Kunduz for long, the ongoing battle over this important city and its hinterland points at various new developments on Afghanistan’s battlefield. This week, when Pakistan’s Prime Minister Nawaz Sharif arrives in Washington on an official visit, the Obama administration has an opportunity to push forward an often tumultuous bilateral relationship with a partner that is finally getting its act together in many critical ways. Pakistan’s challenges in overcoming corruption, extremism, misgovernance, and poverty will be a generation-long struggle. But the country is on an upward trajectory, with discernable progress in moving toward becoming a rarity in a chaotic region: a pluralistic Muslim democracy capable of securing itself from internal and external threats, with plummeting levels of terrorism and sectarian violence, home to a thriving market economy. It is the pursuit of this end state, which would be a win-win for America and the Pakistani people, that should anchor U.S. policy toward Pakistan, a nuclear power and the world’s second-largest Muslim country. Past the white sand beaches, the country's human rights situation has gone from bad to worse — and this paradise has become anything but. The Maldives, a beautiful country in the Indian Ocean, might be best known as a tropical vacation destination. The white sand beaches of its 1,200 islands, dotted across more than 35,000 square miles of crystal clear water, drew more than 1 million tourists last year — roughly three times its population. And, indeed, it does look like a piece of paradise. But against this scenic backdrop, a major battle between the forces of democracy and dictatorship is underway. In the last 10 months, however, the country has fallen into a tailspin. Plummeting support for the government prompted crackdowns against opposition leaders, attacks on public dissent, and purges within autocratic President Abdulla Yameen’s ruling party. In April, Amnesty International warned that human rights were “in free fall.” And it’s past time for the international community to do something about it. Words matter in seeking to explain the actions of states and individuals and to divine the response that would best protect the national (or business or personal) interest. Complexities abound, and assertions based on minimal facts often must be made. Oversimplification is frequently a necessary step to explain and understand the motivations - whether compulsions or constraints - of the various actors. That simplification, which accounts for complexity but peels away these layers to a core "truth," may not be entirely nuanced. But it does allow for more effective communication, and thus for building a more reasoned preparation or response. There are risks, however, to moving from the simple to the simplistic. Complexities are often ignored in favor of a single reason for actions, frequently relying on moral judgments rather than reasoned understandings. One term analysts, journalists and government officials use that frequently falls into the simplistic, rather than simple, category is "provocation." In itself, the term is not problematic. It can, however, become a catchall for describing anything one's political, military or cultural opponent might do. A highly moralized term, it frequently denies any justification for the actor's action and fully justifies any response from the recipient of the action. BEIJING — China defended the actions of its air force on Tuesday after Japan said its scrambled fighter jets to prevent possible incursions by Chinese planes a record high number of times in the summer. Japan jets scrambled 117 times from July to September, up from 103 in the same period of last year, although it was lower than the all-time high of 164 times recorded in the final quarter of 2014. “The actions of China’s aircraft in the airspace over the relevant sea are justified and legal,” Chinese Foreign Ministry spokeswoman Hua Chunying told a daily news briefing. Japan has long been mired in a territorial dispute with China over a group of tiny, uninhabited East China Sea islands, called the Senkaku in Japan and Diaoyu in China. Patrol ships and fighter jets from Asia’s two biggest economies have been shadowing each other on and off near the islets, raising fears that a confrontation could result in a clash. Sino-Japanese ties, also plagued by the two countries’ wartime past, concerns over Tokyo’s bolder security stance and Beijing’s increasing military assertiveness, have thawed a little in the last year. With Chinese leader Xi Jinping in the U.K. for a four day visit, we have another chance to observe one of the most striking ways he differentiates himself from his predecessors. A simple look at the list of countries he has visited as they are set out on the Chinese Ministry of Foreign Affairs website shows in just 31 months since assuming the role of president, he has clocked up trips to 33 nations. Even more remarkable is the diversity of these destinations. There are, of course, the standard places one would expect – four visits to Russia, two to the United States, three to Indonesia. Most of these visits were to attend international fora like the Bandung Conference, the Shanghai Co-operation Organization summit, or the Sochi Winter Olympics. But then there are an array of bilateral visits made for purely diplomatic reasons – a trip to South Africa in 2013, just after the first foreign visit he made as country leader (to Moscow); almost all the Central Asian states in the autumn of 2013; a large swathe of central Europe the following spring, with Latin America later that year, and then South Asia in September, and Australia and New Zealand at the end of the year. In 2014 alone, Xi managed to clock up visits to no less than 20 countries. 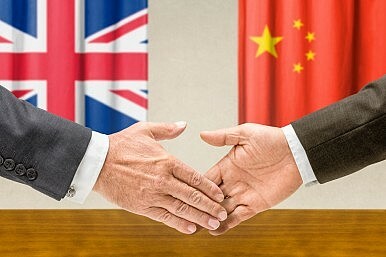 The opportunities that China, with an enlarging middle class and an increasing propensity for foreign investment, can offer are widely recognized within the British government. During his tour of China in September, Chancellor of the Exchequer George Osborne unveiled plans to make China the U.K.’s second largest trading partner by 2025. Britain is sparing no expense in making the trip as full of “pomp and circumstance” as it can get. While Xi was snubbed of the opportunity to address Congress in his visit to the U.S. last month, he was offered the chance to address the British parliament — and will do so on Tuesday, alongside similarly prestigious tasks like dining with the Queen. 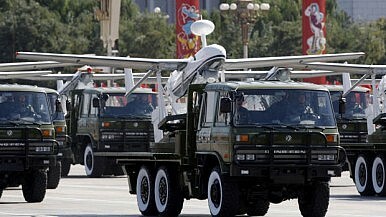 Is This China’s Newest Tool To Thwart US Military Power? 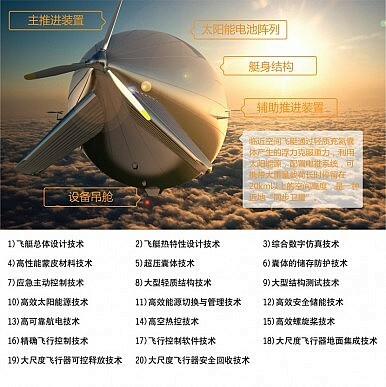 China has reportedly conducted a 48 hour test flight of its largest high-altitude airship, the Yuanmeng(Dream) in near space–the atmosphere between 20 kilometers to 100 kilometers altitude–IHS Jane’s Defense Weekly reports. The Yuanmeng, according to a Chinese media outlet, ascended to an altitude of 20 kilometers at a test area near Xilinhot in Inner Mongolia using solar power to power its three propeller engines. Beijing’s new high-altitude aircraft is one of the largest solar-powered airships in existence to date. According to Popular Science, the Yuanmeng has a volume of 18,000 cubic meters, a length of 75 meters and a height of 22 meters. It can carry a payload of 5 to 7 tons including “broadband communications, data relay, high-definition observation, space situational awareness, and airborne imaging systems” all powered by the sun. The state-owned Chinese company International Aero Development Corporation (IADC) recently launched an ambitious new expansion plan in Africa, according to Defense News. This includes an aviation training center, two regional marketing offices, two maintenance and support centers, and three spare-parts warehouses to promote sales and maintenance for Chinese-made aircraft. South Africa, Tanzania and the Republic of Congo are the main states where this expansion is taking place; warehouses in Zimbabwe and Kenya are also being planned. At the Aviation Expo China 2015 in Beijing last month, IADC’s General Manager Zhang Guangjian stated that this move is part of a larger plan to expand further throughout the continent. IADC is a subsidiary company of Aviation Industry Corporation of China (AVIC), one of the largest state-owned developers of military and civilian aviation technology in China. The company has been involved in the development and export of several People’s Liberation Army Air Force (PLAAF) platforms, including the FC-20, the export version of the Chengdu J-10, and the FC-1 Xiaolong, the export version of the JF-17 Thunder. IADC was set up to promote exports of AVIC’s civilian aircraft. Dushanbe has invited China’s Tebian Electric Apparatus Stock Co., Ltd. Company (TBEA) to take part in the construction of Saikhun, the first new city to be built in Tajikistan since its independence, Azernews reported last April. The new city is to be built on a 14,000-hectare desert land near Khujand, the country’s second-largest city in the Sughd province (northern Tajikistan), and will have 19 residential areas, 17 schools, 31 kindergartens, 40 sports centers, 140 shopping and services centers, a transport terminal, and other social facilities. It is also said to provide housing and jobs for some 250,000 people in nearest future helping to reduce the number of Tajik citizens working abroad and lessen Tajikistan’s dependence on remittances as an engine of growth. TBEA is a leading Chinese producer of transformers, wire and cable, high-voltage electric aluminum foil, and solar energy equipment with experience in the construction of high-rise buildings, hotels, schools, sports, and other social facilities. The Chinese company was also asked to consider energy projects in the Sughd region. The Iraqi Security Forces (ISF) and their Shiite militia allies have reported major successes after launching an operation to recapture the central Iraqi city of Baiji last week,. The Islamic State is said to be holed up in just a pocket of the city after the Iraqi forces retook the Baiji oil refinery, the city center, and several districts. According to Reuters last week, “The Hashid Shaabi militiamen and Iraqi army soldiers began their assault from the south.” Hashid Shaabi is the Arabic name for the Popular Mobilization Units (PMU), an umbrella under which a number of Shiite militias, including many that are backed by Iran, operate since banding together to fight the Islamic State last year. Just two days after launching the assault, the Iraqi forces reported recapturing 60 percent of the city. A day later, the nearby oil refinery, which has been contested for well over a year, was also reported to have been cleared of Islamic State fighters. Iraqi forces have reported making more advances today, and claimed to have captured the city center and cleared the Tamim neighborhood. Fighters from the Liwa Ali al Akbar militia has also been photographed near the Al Fatah Mosque in the city center, with the group’s flag flying over what remains of the mosque. In another photo, Shiite flags can be seen on the road into Baiji. Other Shiite militias have also released photos and videos from the ongoing battle in the city. BAGHDAD — The top United States military officer arrived in Iraq on Tuesday to take stock of the campaign against the Islamic State and to confer with senior American commanders and Iraqi officials. The officer, Gen. Joseph F. Dunford Jr., who took over this month as chairman of the Joint Chiefs of Staff, is making his first overseas trip since assuming the post, and as Iraq and the American-led coalition there are trying to bolster their fight against the militants. After landing in Erbil, General Dunford was to meet with Massoud Barzani, the president of the Kurdish regional government, and other senior Kurdish officials. Kurdish leaders have repeatedly asked that their forces receive arms shipments directly from the United States. But the Obama administration has routed most supplies though the capital, Baghdad, arguing that respecting the sovereignty of the Iraqi government requires doing so. In the Middle East, there’s a new game — and possibly a new sheriff — in town. Three weeks ago, Russian President Vladimir Putin stunned observers around the world by ordering his military directly into battle in Syria’s long-running civil war. This unexpected move is Putin’s first “out of area” power projection gambit — the first time that Russian troops and firepower have been deployed beyond the territory of the former Soviet Union since the end of the Cold War. Putin first shocked the West and its regional allies by quickly, efficiently, and unexpectedly deploying strike aircraft, tanks, and Russian military “volunteers” into bases in Syria. Within days, he was launching lethal airstrikes on rebels battling the Assad regime. And just a week later, he fired dozens of cruise missiles from Russian ships in the Caspian Sea against other Syrian rebel positions — with apparently a few falling short into Iran. As of last week, Russian aircraft were flying scores of sorties a day over Syria — in contrast to the U.S.-led coalition’s far smaller daily tally. Political leaders and Kremlin-watchers across the globe were surprised and astonished. Gen. David Petraeus called the conflict in Syria “a geopolitical Chernobyl, spewing instability and extremism over the region and the rest of the world.” Now in its fifth year, the war has claimed over 250,000 lives, displaced nearly half the population, and literally torn the country apart. In the process, it has evolved into a different type of problem for the United States. The U.S. strategy to deal with the conflict was unrealistic from the beginning. As the Obama administration rethinks its Syria strategy, it should start by redefining U.S. interests in the face of an increasingly fractured Syrian conflict and adopting a new strategy that seeks to immediately reduce the level of violence by enforcing a pause on offensive operations by all sides in Syria. The United States has the diplomatic and military tools already in place to do this. It would be difficult and require the adroit and shrewd application of power, but to do less would lead to more human devastation, further damage U.S. interests, and allow Russia to gain more influence over the region. Since 2013, the CIA has been training and equipping various moderate rebel elements in the Syrian civil war in an effort to undermine the regime of Syrian President Bashar al-Assad and force him to the negotiating table. Among the range of munitions and supplies that the CIA has funneled to the various brigades of the Free Syrian Army and other moderate groups through Saudi Arabia, Jordan, and Turkey are TOW anti-tank missiles. Such anti-tank weaponry has also functioned as a game changer for the rebels, who generally lack the same sort of heavy weaponry, air support, and armor that the regime can muster. TOWs are guided missiles that are capable of thoroughly damaging or destroying tanks, armored carriers, and other vehicles that the Assad regime might send into the field. And, unlike other projectiles used against armored targets, such as RPGs, TOW missiles can be used from a considerable distance. BEIRUT — In a striking sign of Iran’s growing regional influence, a major assault on Syria’s most populous city is being coordinated by an Iranian military commander using Shiite forces from three countries to back President Bashar al-Assad’s beleaguered troops, militia officials said. Maj. Gen. Qasem Soleimani, the leader of Iran’s elite Quds Force, has ordered thousands of Iraqi Shiite militia allies into Syria for the operation to recapture Aleppo, according to officials from three of the militias. The militiamen are to join Iranian troops and forces from Hezbollah, the Iranian-backed Lebanese militia, the officials said. Soleimani has been a frequent sight on the battlefields in neighboring Iraq, where he has been advising Iraqi forces fighting Islamic State militants. But the war there has stagnated, and the shift of the commander along with Iraqi militiamen and Quds Force members to Syria appears to signal a change in Iranian priorities. BEIRUT (Reuters) - Russian air strikes in Syria’s Latakia province killed a top rebel commander from a group armed by President Bashar al-Assad’s foreign enemies, a monitoring group said on Tuesday. The Syrian Observatory for Human Rights said 45 people - both rebel fighters and civilians - were killed in the air strikes on Monday evening in the Jabal Akrad area, which is held by the First Coastal Division rebel group. The group, which fights under the banner of a loose alliance of factions known as the “Free Syrian Army”, confirmed the death of its chief of staff, Basil Zamo, formerly a captain in the Syrian military. The First Coastal Division is one of several groups that have received foreign military support under a program supported by the United States, including U.S.-made anti-tank missiles, the most potent weapon in the rebels’ arsenal. Can MANPADS Be Controlled in Syria? In recent weeks, Syrian opposition groups have renewed calls for the United States and other countries to supply man-portable air defense systems (MANPADS) to Syria’s beleaguered rebel forces. Senator John McCain has proven a lone voice in advocating for the provision of MANPADS to American –trained rebel forces in what he openly describes as a prospective replay of Washington’s covert war against the Soviets in Afghanistan. Russian media have highlighted some of the many dissenting expert opinions. Other states may not be quite as cautious, however. Qatar is believed to have delivered Chinese FN-6 MANPADS to Syrian rebel groups. Several of these have since been acquired by the Islamic State. Saudi Arabia, which has increased arms shipments to the Free Syrian Army in response to the Russian intervention, reportedly “hasn’t ruled out” supplying these advanced surface-to-air systems. Luc Forsyth and Gareth Bright have set out on a journey to follow the Mekong river from sea to source, The Diplomat will be sharing some of the stories they’ve found along the way. For more about the project, check out the whole series here. 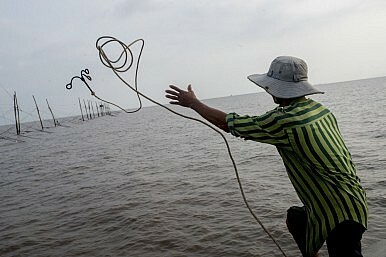 “If I had to give this boat a name, I would call it Happiness,” Nguyen Than told us at four o’clock in the morning as he prepared his shrimp boat for sea. But the family-owned boat, staffed entirely by an extensive network of brothers and brothers-in-law, had no formal name. Instead it went by the less evocative handle of TG1920. We met his brother-in-law and co-captain, with the confusingly similar name of Thane, the previous afternoon in the town of Den Do, a small community of around 600 families that sits on the banks of the Mekong with a clear line of sight to the sea beyond. A short, swarthy man with a voice like a sand blaster, he seemed amused by our request to join his crew for a morning’s work, but granted permission nevertheless. AMERICA’S MILITARY preeminence is eroding. As the Pentagon and defense experts are becoming increasingly fervent in insisting, there are growing challenges to the dominance of America’s armed forces. The chief culprit behind this trend is the exertion of potential U.S. adversaries, which have—in the phrase one so often hears from defense officials and military officers—“gone to school” on U.S. military technology and the contemporary American “way of war.” And they have made a good deal of progress in preparing to counter it. China and Russia are the two major powers with which the United States might most plausibly come to blows, and both have undertaken ambitious and sophisticated military buildups specifically designed to undermine American advantages. Both took note of the awing prowess of the U.S. military machine in the Persian Gulf War and the other regional wars of the post–Cold War era. 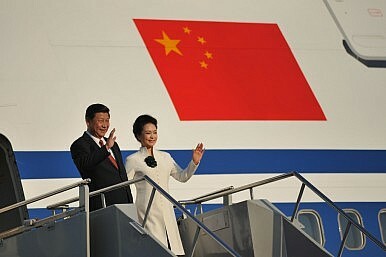 China’s resolve to narrow and eventually negate America’s edge in armed might and the coercive leverage it provided was especially spurred by the Taiwan Straits Crisis of 1995–1996; Russia’s, meanwhile, was catalyzed by the Kosovo conflict of 1999 and accelerated starting with the Georgian War of 2008. Both countries’ buildups are increasingly challenging the U.S. military’s ability to project decisive power into the Western Pacific and Eastern Europe. While Moscow’s military adventure in Syria shows that its forces have improved markedly since their near collapse in the mid-1990s, Russian military forces still have many weaknesses. While select portions of the Russian military—most notably the Strategic Missile Forces, airborne forces and naval infantry—have been extensively modernized, other forces still rely on ill trained conscripts and dilapidated hardware held over from the Soviet-era. In other words, Russia’s military modernization has been uneven at best. In the years immediately following the collapse of the Soviet Union, Russian military spending bottomed out. Readiness collapsed and the Russian defense industrial base essentially fell apart—along with the rest of society. Since then during the late 1990s and early 2000s, Russian leaders would often pronounce periodically that they would reform their military, but they took very little action to actually implement such changes. The result was two disastrous domestic debacles in Chechnya and ultimately Russia’s embarrassing performance during the 2008 Georgian conflict. Hidden away at Patrick Air Force Base in Florida, the secretive Air Force Technical Applications Center now has five new squadrons. 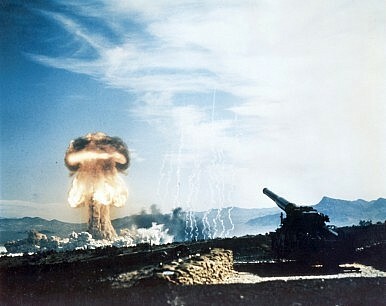 Originally created in 1959 as the even more obscure-sounding 1035th Field Activities Group, AFTAC keeps an eye out for atomic tests, makes sure other countries are playing by the rules of nuclear treaties and monitors foreign long-range missile and space launches. In 2014, the flying branch decided to turn the organization into the equivalent of a wing-type unit … and this means new squadrons. “Technical Surveillance Squadron (TESS) – this squadron, now commanded by Lt. Col. Ehren Carl, provides the nation with persistent surveillance to monitor treaty compliance through AFTAC’s 24/7 Operations Center and the U.S. Atomic Energy Detection System to detect, identify and locate nuclear explosions underground, underwater, in the atmosphere or in space. KARL MARX once described a situation where the weapon of criticism gives way to criticism by weapon. It’s a remark that captures the latest round of tensions between the West and Russia quite well. Are we witnessing a collision between two different systems of values—or one between two different interpretations of a common system of values? If we are about to launch yet another “crusade” and our outlooks are fundamentally different, then the conflict admits of no solution other than that there can be just a more or less prolonged “peaceful coexistence” as a prelude to an eventual head-on collision. If Carthage is innately and essentially vicious, it must be destroyed. The question is who is Carthage and who is Rome. And that question is really not very difficult to answer: Rome survives. All the rest is a matter of tactics and methods. The possibility for maneuver and resourcefulness is locked within this narrow alley. That is precisely what both Moscow’s and Washington’s approaches looked like throughout a greater part of the classical Cold War. The zero-sum game was played best in the limelight of ideological irreconcilability at the most acute moments of political confrontation (in Berlin in 1953, Hungary in 1956, Cuba in 1962, Czechoslovakia in 1968, and Afghanistan in 1979–1989). Meanwhile, as the Soviet model continued to corrode, certain ideas pushed their way to the surface. First, they gained a niche for themselves within the domain of the official Marxist-Leninist ideology, then pushed the latter away and replaced it with values and concepts that were very unusual for that time. “You will see.” That was Saudi Foreign Minister Adel al-Jubeir’s response to a reporter who asked him who would military remove Bashar al-Assad from power in Syria if he refused to leave on his own accord. Although Jubeir’s terse rejoinder might have been off-the-cuff—he was getting into his car following his speech at the United Nations General Assembly in New York—the clip of the short interview went viral on Saudi social media. The majority of people who shared it seemed to approve of the defiant tone of the message. While it is premature to assume that Saudi Arabia and Russia, which is now supporting Assad militarily in his four-year war against a wide array of armed rebels and militant Islamists, are on a collision course, there is little doubt that their divergent views on the root causes of the carnage in Syria have strained relations. Although the Saudis have made a concerted effort to broaden the scope of their relations with Russia over the past decade, it remains to be seen whether the two countries will be able to overcome their sharp disagreement over Syria and a long history of antagonism. Even before 9/11, many commissions had been appointed by different Governments to study the threat posed by terrorism and many seminars, conferences and workshops organised by different think-tanks on the subject. In the US alone, there were three high-powered commissions on the threat posed by terrorism. All this could not prevent 9/11. Since 9/11, there has been an increase in the number of investigating commissions, seminars, conferences and workshops on this subject and there has been a mushrooming of new university faculties, think-tanks and departments devoting themselves to a study of this subject. More funds are available today than ever in the past for studying this subject and Al Qaeda Watching has become a highly prestigious and remunerative field of study for many scholars. Al Qaeda and the other jihadi terrorist organisations allied to it do not have think-tanks, blue ribbon commissions and research scholars to assist them. They never hold any seminars, conferences or workshops. Their leaders are so widely scattered that they are no longer able to even remain in communication with and consult each other. Facebook will explicitly notify users it believes have been targeted by an attacker suspected of working on behalf of a nation state, the company has announced. Users whose accounts are targeted or compromised by state-sponsored hackers will now receive a notification upon login, warning them that “we believe yourFacebook account and your other online accounts may be the target of attacks from state-sponsored actors”. The user is then prompted to turn on Facebook’s “login approvals”, a form of two-factor authorisation which texts a login code to the user when they (or anyone else) tries to access the app using their phone. How good can cyber defenses be if there is no good way to test them? The Pentagon lacks tools to do this, according to DARPA, which is why the agency is looking for evaluation tools. The first phase will involve a feasibility study "to determine innovative cyber techniques and mechanisms that are capable of automatically generating and injecting realistic vulnerabilities to real-world applications written in C or C++. Design, prototype, and evaluate a concept system for automatic generation and insertion of vulnerability test cases using a single vulnerability class (e.g., integer overflows) and support a small set of vulnerability hiding techniques (e.g., masquerade as incomplete integer overflow)." Phase II will increase the number of vulnerability classes supported and develop additional hiding techniques. The end of September saw several events that highlight the growing importance of the U.S. technology sector in global affairs. On September 26, Facebook CEO Mark Zuckerberg spoke at the UN General Assembly meeting in New York, where he discussed his company’s efforts to expand Internet access in developing countries. A day later, Zuckerberg was back at Facebook headquarters in Menlo Park, California to host Indian Prime Minister Narendra Modi. In the past, technology companies might have relied upon Washington diplomats to convey their foreign policy preferences. Today, the size and reach of U.S. technology giants allows their CEOs to bypass Washington and communicate directly with world leaders. Silicon Valley has become an increasingly popular destination for visiting foreign leaders who want to emulate the region’s success in their own countries. At the same time, technology companies with global ambitions can attract the support they need to expand in foreign markets. When it comes to cyber security, DoD should focus less on quantity and more on efficiency. It is not yet known if the recent U.S.–China agreement to limit cyber espionage is a meaningful step toward a more secure cyberspace. Without broader reaching, enforceable, and verifiable agreements coupled with a history of compliance, the Internet remains a near lawless and ungoverned battleground. Militaries around the world continue to stockpile cyber weapons and conduct reconnaissance on potential targets. The U.S. is no different and cyber is one of the highest priorities for the Defense Department: even in the age of austerity, U.S. Cyber Command’s budget will double and personnel count will increase to 6,200. While some may laud the expansion of CYBERCOM and other U.S. government entities involved with cybersecurity, before we spend all of this money, we should pause and ask: Will all of these people and funding actually make us better at prosecuting cyber war and defending against cyber attacks? ARE OUR BORDERS BETTER THAN YOUR BORDERS? Is North Korea Prepping for Another Nuclear Test?